The Western Cape education department claimed this week they have the highest matric rate, not Gauteng, as the national department insists. 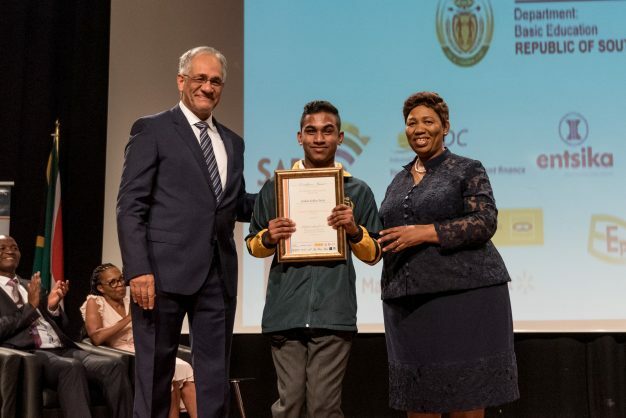 The basic education department (DBE) on Sunday questioned the Western Cape education department’s assertion that the province produced the highest 2018 matric pass rate. “It is disappointing that the Western Cape education department (WCED) should have released a statement on 4 January claiming, on the basis of what is a patently flawed analysis, that the province produced the country’s highest number of National Senior Certificates (NSCs) relative to the population,” the department said in a statement. “This is incorrect, and masks serious challenges which the Western Cape faces when it comes to getting poorer and black (specifically black African and coloured) youths to successfully complete Grade 12,” it said. The table released by the WCED, claiming the province occupied position one, divided NSCs in 2018 by Grade 10 enrolment two years ago, in 2016. The problem with this was that the Western Cape’s grade repetition in Grade 10 was exceptionally low, meaning the resultant statistic would be superficially high, the department said. “These statistical issues are something officials in [the] WCED are well aware of, as they are discussed at planning meetings where the national and nine provincial departments meet. The reality, according to credible statistics released by the DBE, for instance in the 2018 NSC report released recently, is that the Western Cape sits at roughly the national average, or slightly above, when it comes to youths attaining the NSC,” the DBE said. “It is clearly not in position one. The Western Cape has historically not been good at ensuring that black African and coloured learners attain the NSC. If one counts just these two population groups, then [the] Western Cape still lags behind Gauteng, KwaZulu-Natal, and Mpumalanga when it comes to attainment of the NSC qualification (this is according to household data, but analysis using just administrative data from the education sector confirm this). “This situation has prevailed despite the fact that [the] Western Cape performs rather well in international tests, and is favourably placed when it comes to teacher qualifications and school infrastructure. These contradictions should receive closer attention by [the] WCED. [The] WCED should not be publishing clearly misleading statistics that hide real challenges,” the DBE said.